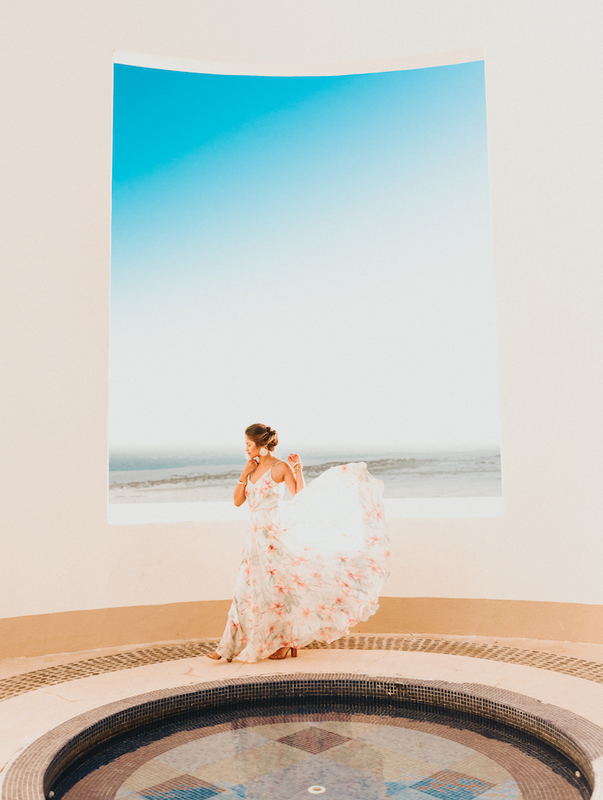 Happy Friday everyone, today I’m finally sharing a recap from my recent trip to Cabo at the Towers at Pacifica at Pueblo Bonito Pacifica Golf & Spa Resort. 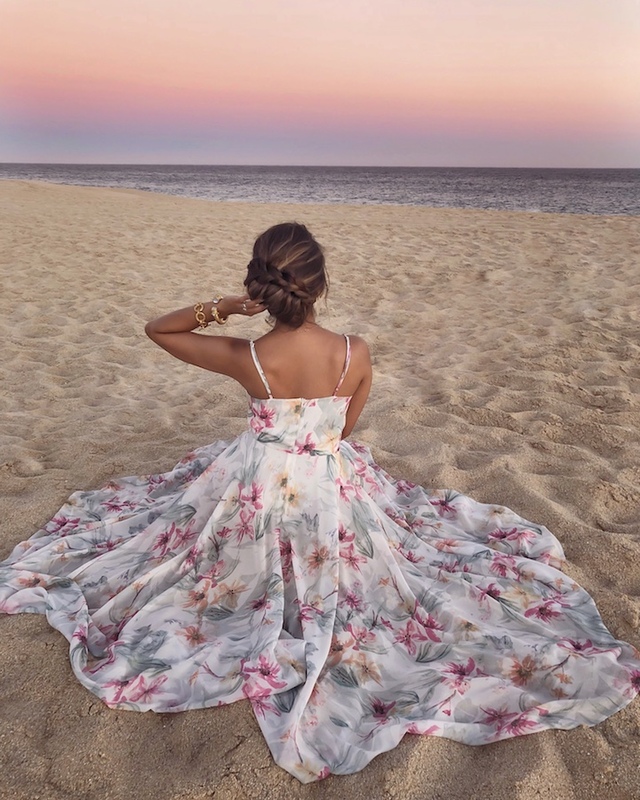 Scroll through this post for the day to day to details of my stay as well photos and product information on all of my resort wear outfits. Day 1: Upon our arrival to Cabo, the Pueblo Bonito arranged transportation for us from the airport to the resort. We were immediately greeted with welcome cocktails and a brief tour of the resort before enjoying fish tacos, fries and nachos by the pool for lunch. Once our room was ready, our butler showed us to our beautiful suite complete with a 24-hour butler service, mini dip pool and a fully stocked beverage fridge! 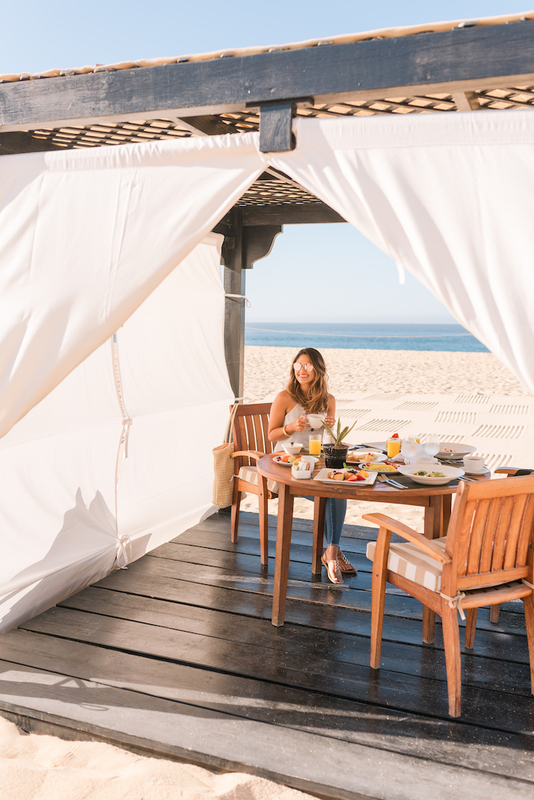 The Towers at Pacifica Resort has the most amazing cabanas with cushions and curtains for shade and privacy that guests can reserve for beach days or special meals. 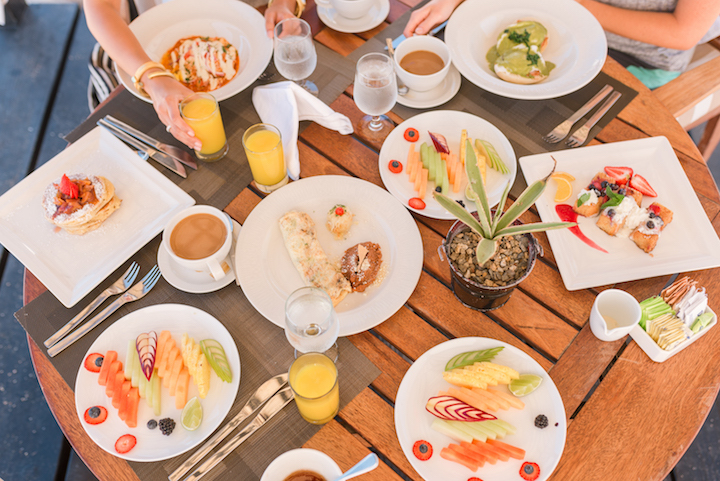 Day 2: The next morning we woke up to a beautiful breakfast on the beach and in case I didn’t mention, the Towers at Pacifica is an all-inclusive resort so you have the luxury of enjoying all of your meals and beverages without your wallet minus a few select premium items. After breakfast, we got to enjoy the pool and beach for the rest of the day before dining at the Peninsula for dinner. 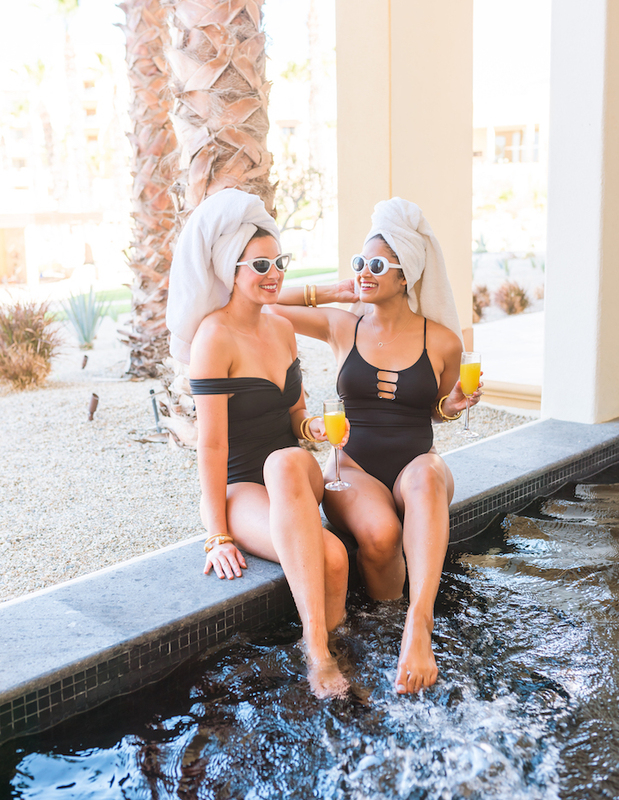 Day 3: We kicked off the day three with relaxing massages at the Pueblo Bonito spa before heading out for the day for a boat excursion with Blue Sky Cabo. I will be doing a separate blog post about our boat experience. 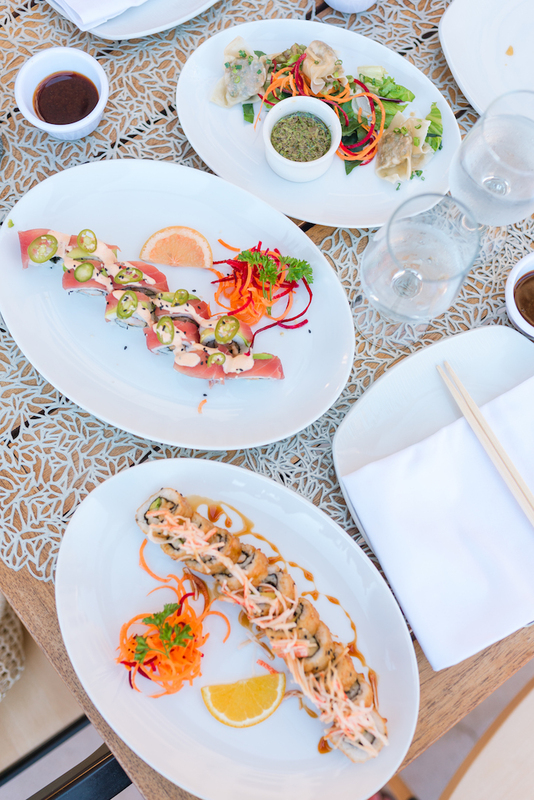 My favorite restaurant at the The Towers at Pacifica is Pescados where we ate the most delicious Asian cuisine and fresh sushi. I highly recommend the Pacifica Roll and the Pad Thai! 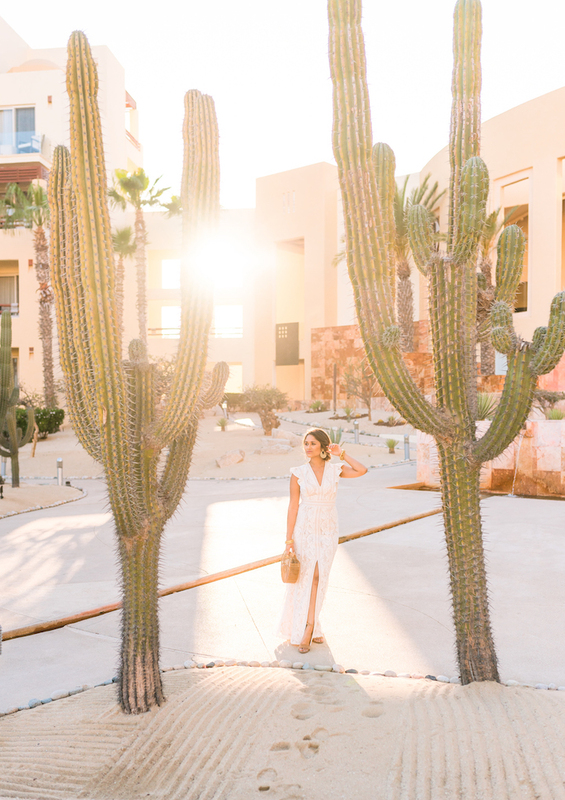 Day 4: On our last day, we decided to visit some of the other Pueblo Bonito resorts in Cabo. We visited Rosé to see the beautiful pink hotel rooms and pool area complete with black swans and a stunning view of the beach. We also visited to Sunset Resort for a fancy steak dinner at their outdoor restaurant, Quivira that overlooks the water.